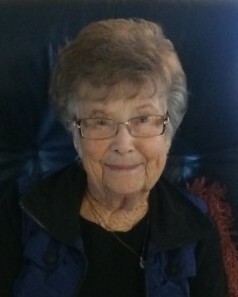 Betty Eachus, 96, entered into rest on February 9, 2019 in Ripon, Ca. She was born on September 26, 1922 in Wyoming. She is preceded in death by her first husband Leo Eachus and her second husband Joseph Oliphant and her granddaughter Renee Toledo. Betty is survived by her loving family, three children; Janice Southern (Randy), Ted Eachus (Diane) and Deanna Kirschenman (Keith), four grandchildren Bryan Kirschenman, Kyle Murphy, Sheila Sio and Garrett Eachus and seven great-grandchildren. Betty was a resident of Lodi where she was a seventy-year member of Lodi Methodist Church. She was a member of the Woodbridge Golf and County Club where she was the captain of the 18th hole group. Throughout the years Betty was very active in many organizations in Lodi including; Chapter SH PEO, Wednesday Club, Women’s Club of Lodi, Girl Scouts, Eastern Star, several Bridge groups and taught Sunday School for many years. Betty was a social butterfly; she enjoyed entertaining where she looked forward to her annual backyard themed dinners for family and friends. Betty will be remembered for her wonderful sense of humor, her nurturing spirit, and her kind heart. She will be deeply missed by all who knew and loved her.